Amp up your presentation with multimedia. 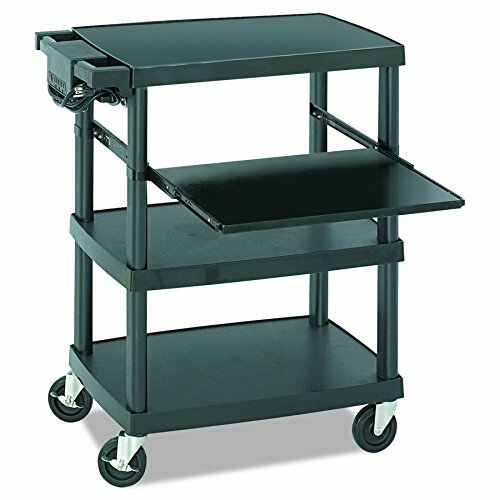 The projector cart has an ideal height 34 3/4"H for multimedia and laptops with top weight capacity of 50 lbs.. Includes a height-adjustable pullout steel shelf and UL approved electrical assembly with surge protector. Three 24-1/2" x18 1/2" shelves make storing material no problem and hold up to 15 lbs. each. Mobile on four swivel casters, 2 locking.